On May 25th, Norway’s first regular newspaper called Norske Intelligenz-Seddeler (English: Norwegian Intelligence-Notes) celebrated its 250th anniversary. The newspaper was founded in 1763 in Christiania (Oslo) by book printer Samuel Conrad Schwach. In 1758, Schwach had been authorized to establish a printing house in Christiania. The newspaper was basically dependent on royal prerogative, but he found a niche inside the system by avoiding news and stories about government actions, policies etc. The first versions consisted of four small pages, two of which were reserved for advertisements. The rest contained economic or religious reflections and religious poetry. “This is a giant leap, even in these modern times. Sweden and Denmark are ahead of us. It was about time to publish a Norwegian newspaper”, Schwach emphasized after the first release. 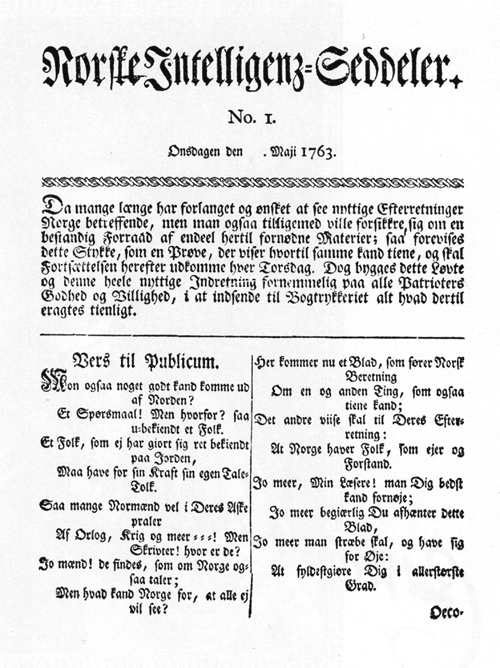 Between 1763 and 1805, Norske Intelligenz-Seddeler was published once a week. From 1805, twice a week, while in 1830, it became a daily newspaper. 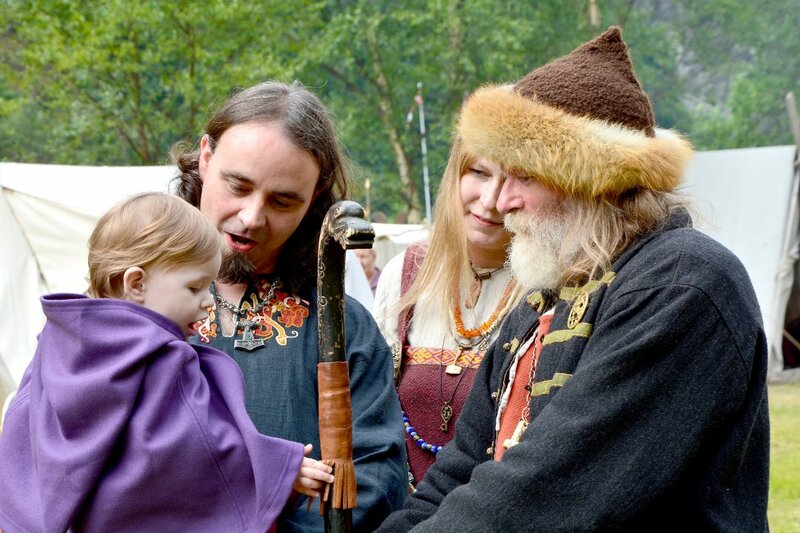 It was funded by wealthy citizens of Christiania, as well as income from advertising. At its most extreme, advertisements could fill the entire paper. In 1765, Schwach claimed that half of the 200 printed copies were sold. The newspaper was thus a loss, and Schwach was unsure about the future. During the second year, a group of intellectuals took over the editorial responsibility. They called themselves “Intelligenz-Væsenet” (English: “Intelligence-Service”) and “De Tænkende” (English: “The Thinking”) and aimed to turn the paper into an organ for the literary enthusiasts. The group had editorial responsibility through seventeen editions of Norske Intelligenz-Seddeler. The content of Norske Intelligenz-Seddeler was, besides advertisements, a mix of different texts. It could be poetic or literary compositions, articles on economics, theology or moral, as well as critical essays. The newspaper also contained ‘smaller news’ – and in 1766, when Schwach had regained editorial control, the news content increased. Norske Intelligenz-Seddeler is therefore considered Norway’s first regular newspaper. In 1890, the paper was taken over by Hjalmar Løken, who changed it into an organ for the Norwegian Liberal Party. In 1920, Norske Intelligenz-Seddeler was discontinued and changed its name to Verdens Gang, which is still in circulation.